There are dozens of different things to do on a holiday to Sofia in Bulgaria, from checking out the beautiful architecture to shopping in any of its extensive shopping malls or markets. However, when travelling to such a beautiful country, it’s important not to miss out on the chance to connect with the great outdoors and take in some fantastic scenery. One of the nicest outdoor locations to visit is the Boyana Waterfalls, which will make for an ideal day trip destination away from all the hustle and bustle of the city. Although it isn’t the highest of Bulgaria’s waterfalls by any stretch of the imagination – its water cascades only 25 metres – it is nevertheless breathtaking and great for photo opportunities, as well as simply an opportunity to feel the serenity it exudes. 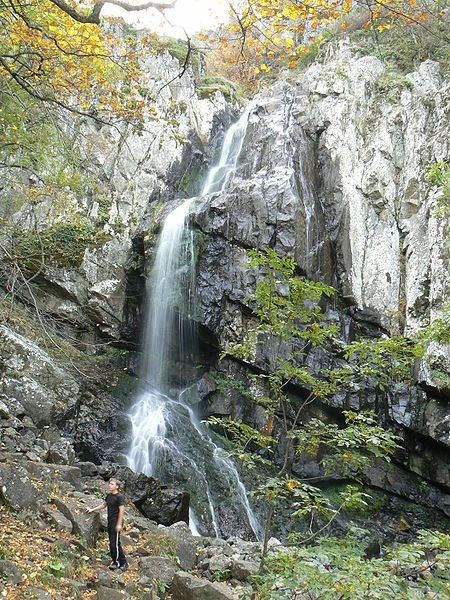 The waterfall is situated in the Vitosha Mountains and is the largest and many say most beautiful example of its kind in this range. This was something noticed by the patriarch of Bulgarian literature Ivan Vazov when he visited in 1920. So entranced was he by the waterfall that he penned a rave review of the site, saying: “It looks like as if this waterfall does not come from the Vitosha Mountain, but somewhere from the sky, carrying the rays of the azure and the noise of their storms.” One of the best times to check out the Boyana Waterfalls is the springtime, when snowmelt carries water down from higher ground to cascade over the rocky falls. It is claimed that it’s possible to see the spray from all of this water several kilometres away in the centre of Sofia at this time of year. However, winter is also a particularly striking time to go, as the waterfall typically freezes into two ‘ice tongues’ due to Bulgaria’s famously low temperatures. This is when it attracts daring ice climbers, who can scale the falls along a number of different routes and use their tools to mount the overhang and climb glassy ice pendants. Of course, this is best left to the professionals, but you can always watch them from the safety of the ground as a tourist and take in the dazzling beauty of the area in the frost and snow. In the spring, summer and autumn, you’re likely to find that the only sound you hear is the graceful, splashing water – and that’s great for relaxation. You can’t get to the waterfall by car, but it is possible to take a bus from Sofia’s central station to the outskirts of the mountain range. From there, it’s a hike of around an hour-and-a-half to the site, which is clearly signposted. While you’re in the Boyana area, don’t miss out on the chance to see the UNESCO World Heritage Site the Boyana Church and the natural beauty of the Golden Bridges.